-Docks unusable for 2 years scheduled to be rebuilt by May! FERNANDINA BEACH, Fla. – For nearly two years, parts of the Fernandina Harbor Marina have been unusable after they were damaged during Hurricane Matthew. Now, city officials are taking the first steps to fix the docks and residents could start seeing work begin in the next few months. Officials said that within the next week they should be receiving the final permit giving them the green light to start rebuilding the southern portion of the marina, called the attenuator, which protects inner docks from getting damaged by waves. During Hurricane Matthew, the attenuator did its job but got damaged in the process. The concrete of the dock is still battered and broken and wooden planks on the side of the dock are hanging in the water. City Manager Dale Martin said the contractor will start rebuilding that portion of the marina in the next few months. FEMA estimates repairs to the southern end will cost around $6.5 million. The city will pay for it upfront but will be reimbursed for more than 87 percent of it by FEMA and the state, making the cost to the city about $800,000. Martin said it’s been a frustrating and lengthy process, but one he hopes will be worth it for residents. “I appreciate their patience and I am confident that we will have one heck of a marina project when it is all completed,” Martin said. The city picked Fender Marine to do the work, and the contractor will start the behind-the-scenes work in the next few weeks, including shop drawings and the design. 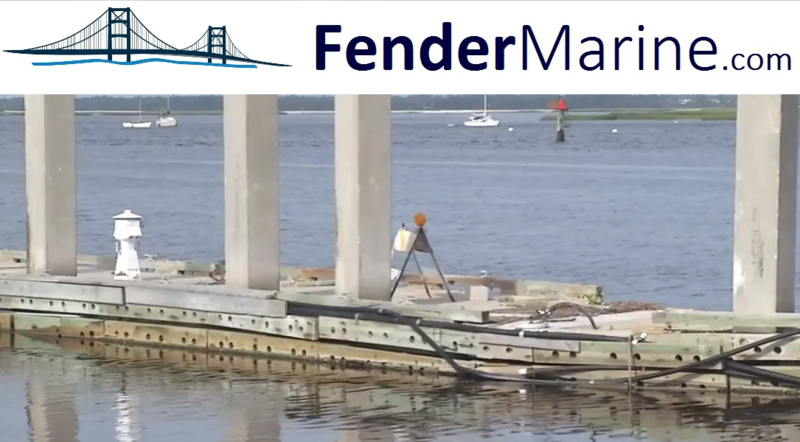 After the docks are manufactured and shipped to Fernandina Beach, residents could see Fender Maine working at the marina as early as December. The temporary timeline for the project estimates it will be completed in May. City officials said they are in the process of applying for a permit to rebuild the northern end of the marina, as well.